It stands for Voice over Internet Protocol, which basically means the systems have transmission capabilities that make communication over the Internet possible. More commonly known as network phones or internet calling (think Skype or Viber), this clever technology allows businesses to make VOIP Telephone System calls to any number from a handset that’s linked to a computer that’s on the internet. The feature benefits and services available on VOIP phones are unparalleled, it’s future-proofing your organisation. Read on for the key benefits of switching to VOIP. Having VOIP Telephone Systems through the network does more than just improve savings on your traditional phone system by lowering monthly charges and call costs. It also enables employees to integrate their daily tasks like email, conference calling and remote video remote conferencing too over the internet via their VOIP handset. You don’t have to be tech savvy to use these systems. The simple and straightforward installation offers a huge advantage over traditional telephones; businesses no longer need separate cabling for traditional telephone systems, it reduces clutter and fire hazards, and the scalability of the VOIP Telephone Systems makes it easy to add new users with minimal hassle. You’ll find a noticeable increase in the overall productivity of your business with a fully integrated network phone system alongside your current business functions. These allow employees to multitask without interruption, whilst also allowing an allocation of funds usually spent on phone bills to other aspects of the business. 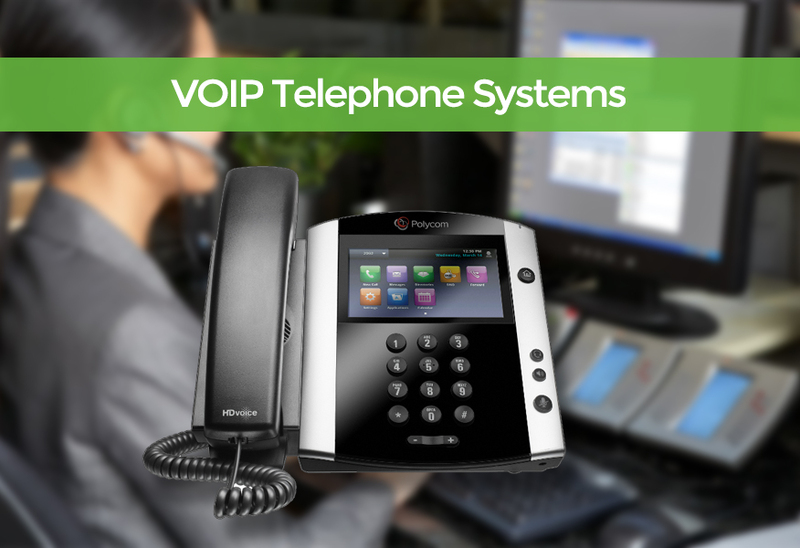 VOIP Telephone Systems are the present for many and the future for many more in Dorset. This readily available, cost-effective technology combines and stores data onto one single secure network. This improves manageability of the system and the productivity for businesses that rely on communication. Get in touch today to see how we can help, 01202 743231.